Special Thanks to Josh Anderson at Serenity Legal Solutions for coming up with this one. We added some shortcuts to his command center a coupla months ago and they really look nice and improve workflow so we have added them to the default command center so you may be seeing these in your program if we haven't done a custom command center for you. 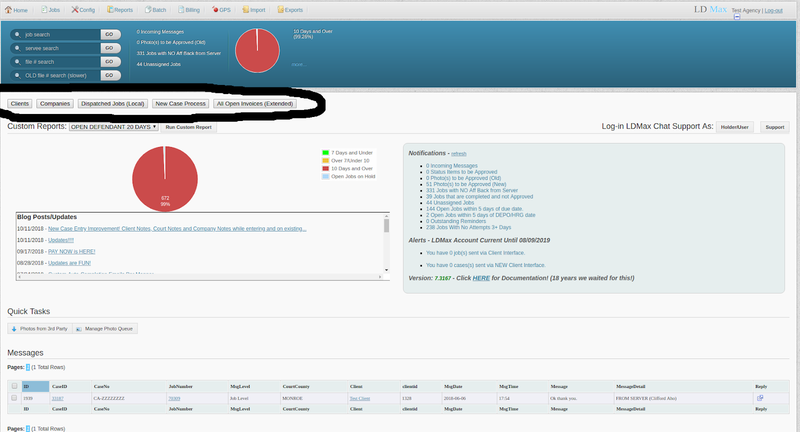 Yes, the command center/dashboard is fully customizable also and so is the pie chart and notifications!